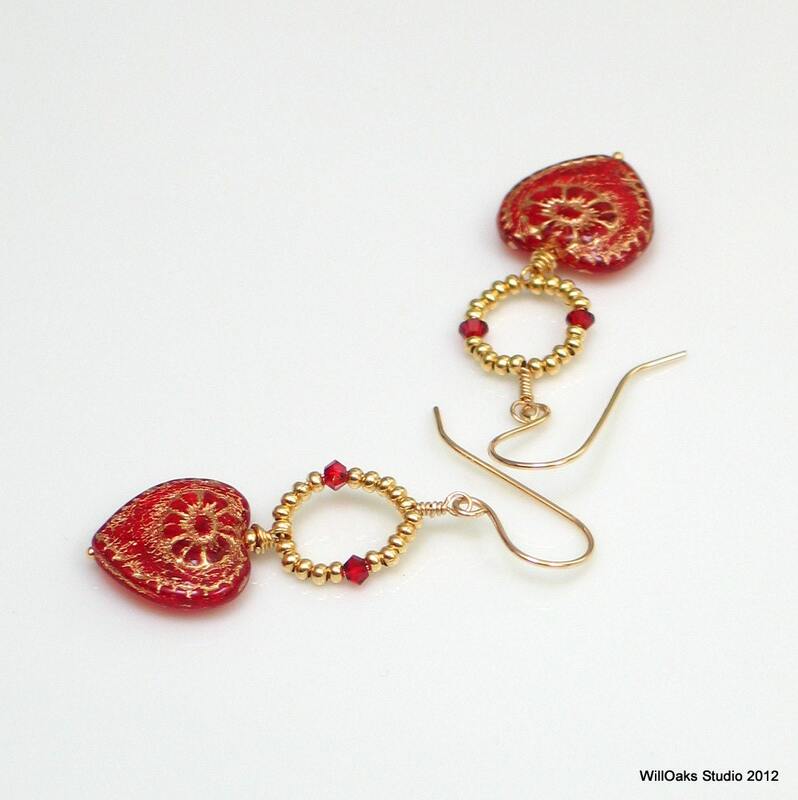 A Victorian inspired flower design pressed into transparent scarlet red pressed glass Czech hearts. 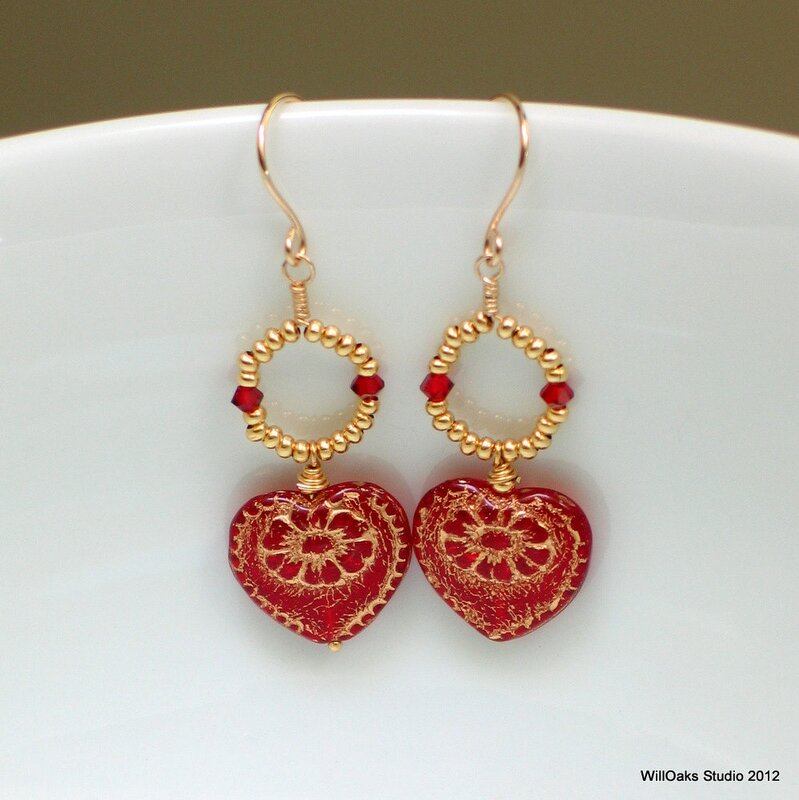 Highlighted with a gold wash, these hearts dangle from gold filled ear wires. Gold plated head pins dangle the hearts from hoops that made with gold plated metal beads and including a couple of red Swarovski crystals for just a touch of sparkle. True red, very joyous and celebratory, and yes, all about true love--of yourself and of others! 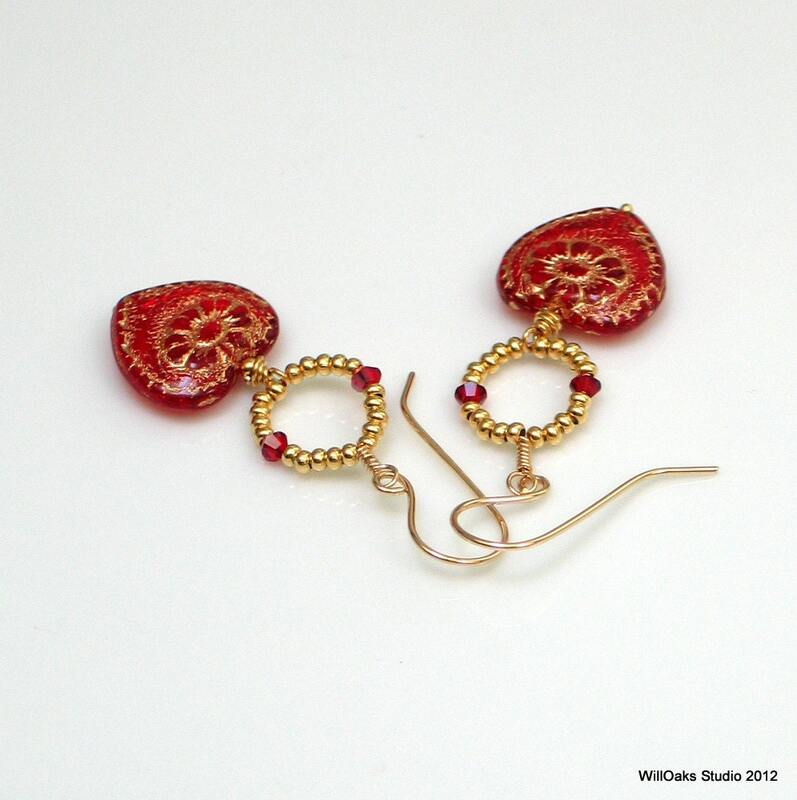 Gold filled wire is used to form small hoops that capture the dainty red crystal and gold metal beads, shaped to dangle from handmade ear wires of 14-20 gold filled wire. 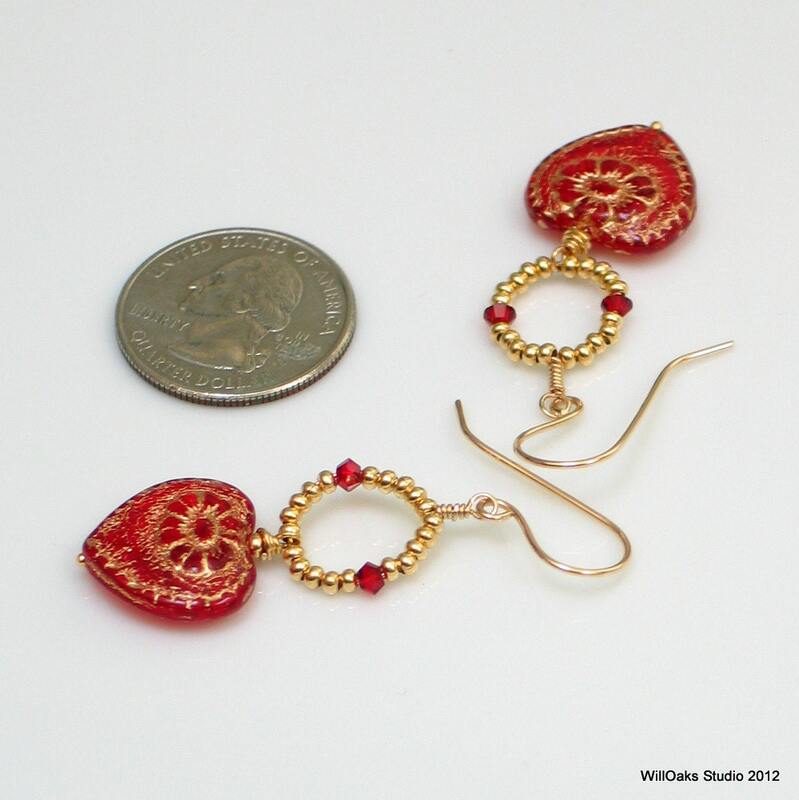 The earrings hang a total of 1 7/8" measured from the top of the ear wire. 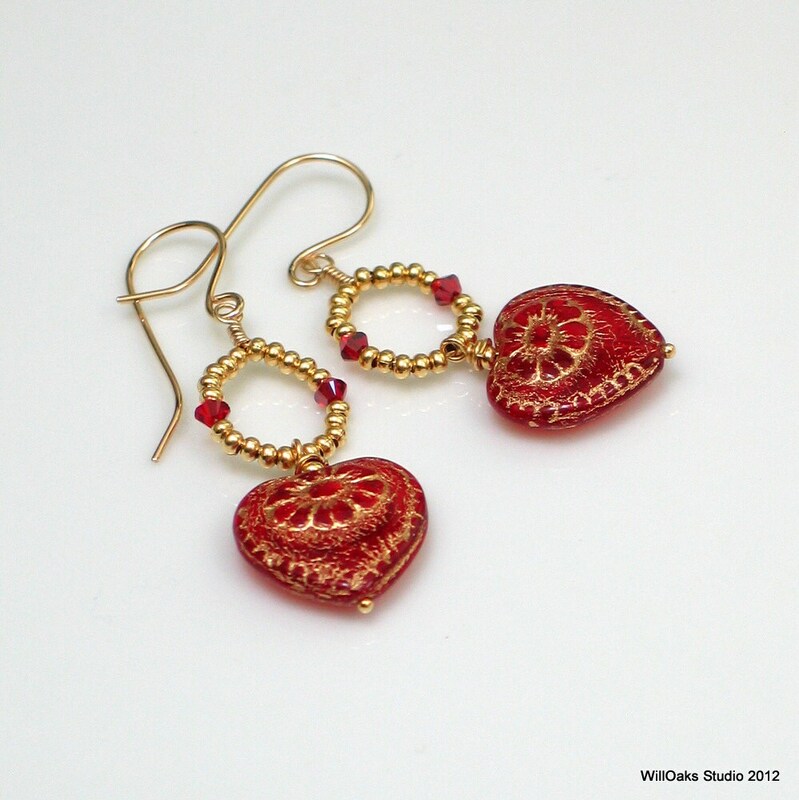 I just love hearts in all materials--I've used them in my work in many media for years now-and Czech glass specialty beads, like these red ones, are made in limited editions. Perfectly priced to give and to keep--wear your heart(s) for the world to see! Earrings are carefully packed into cotton filled, signature boxes.